Gaza City (Palestinian Territories) (AFP) - Two Palestinians were killed by Israeli fire in renewed clashes along the Gaza border Friday, the health ministry in the enclave said. Ministry spokesman Ashraf al-Qudra told AFP the two men were shot in separate incidents along the fractious border. 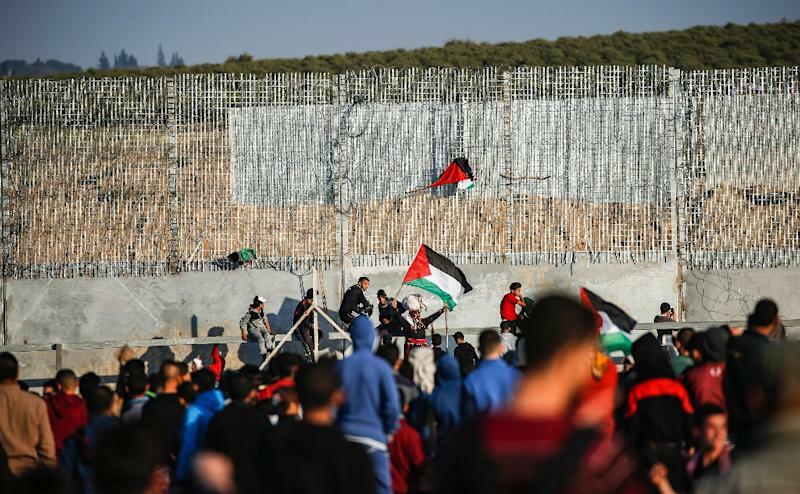 Jihad Harara, 24, was shot in the head east of Gaza City, while Nidal Shatat, 29, was hit in the chest near the Al-Bureij refugee camp in central Gaza, Qudra said in a statement. He had previously said Harara was 18. At least 62 other people were shot, Qudra said. Speaking to the demonstrators, Haniya said they were there to "send a message to the occupation that we will not stop until we uproot the occupation from our land." At least 257 Palestinians have been killed by Israeli fire in Gaza since weekly protests began nearly a year ago.